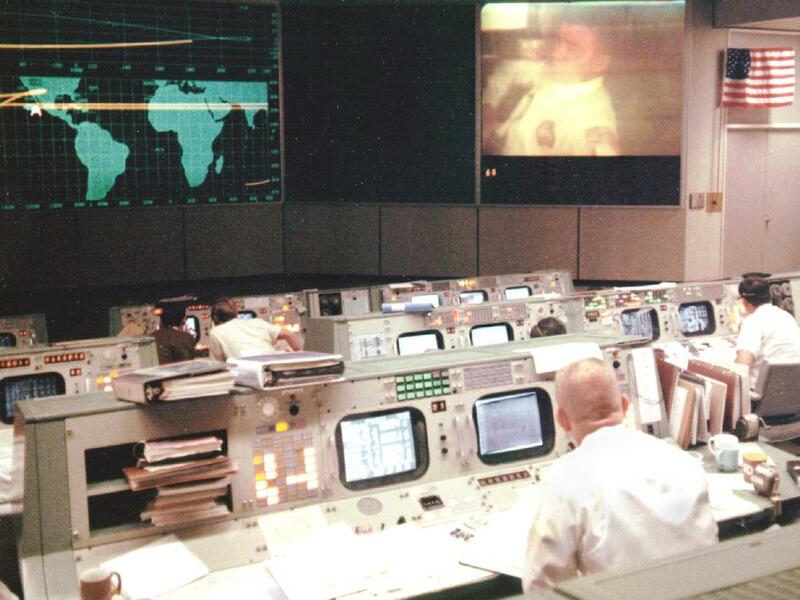 Gene Kranz (foreground, back to camera), an Apollo 13 Flight Director, watches Apollo 13 astronaut and lunar module pilot Fred Haise onscreen in the Mission Operations Control Room, during the mission's fourth television transmission on the evening of April 13, 1970. Shortly after the transmission, an explosion occurred that ended any hope of a lunar landing and jeopardized the lives of the crew. If you're into military technology, you should check out thees great police technology articles and see where the two are related! 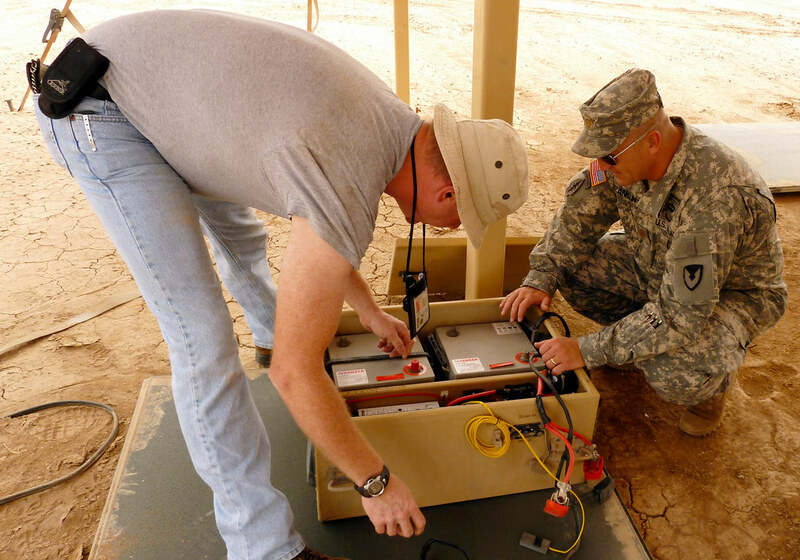 U.S. Army Africa is working in cooperation with U.S. Army Natick Research, Development and Engineering Center on a solar shade system in Camp Lemonnier, Djibouti, that produces two kilowatts of power. Natick engineer Steve Tucker is the lead project manager and brings a unique skill set to the mission. Tucker has never served as a Soldier, but his daily service to the U.S. Army is remarkable. Tucker is an electrical engineer by trade and works for the U.S. Army Natick Research, Development and Engineering Center in Massachusetts. His list of deployments in combat zones and isolated areas included Iraq, Afghanistan, Egypt and Korea. His trip to Djibouti focused on a limited military use assessment of a solar energy project called the solar shade. It’s a project he’s working in cooperation with U.S. Army Africa. He began his Army civilian career shortly after Sept. 11, 2001. In the opening days of Operation Iraqi Freedom, Tucker was working alongside Soldiers in Mosul, Iraq, during a year-long tour. In many respects, his demeanor is dyed-in-the-wool Army green. While in Djibouti, his bunk in the containerized living unit or CLU, sported hospital corners and the obligatory dollar-width top sheet fold over the blanket. His speech is infused with a lexicon of Army acronyms and you can tell he genuinely enjoys working with Soldiers. Before coming to work for the Army, Tucker was an electrical engineer in the private sector for nearly 20 years. He’s worked on high speed computer upgrades, nuclear medical equipment and helped develop an underwater re-breather system for divers. For Tucker, working in places where the heat is often far above the 100 degree mark and the humidity is nearly 100 percent, it’s all part of the job. He’s in his element in the austere and scorching environment of Djibouti where he checked out one of his projects, a solar shade that produces two kilowatts of power on a daily basis. “There are always challenges working in places like Camp Lemonnier. Sure it’s hot and muggy, but it’s always great to be helping our Soldiers. The solar shade can help Soldiers in multiple ways,” he said. Tucker explains some of the benefits of the solar shade. “If you had a tent under the solar shade, it would block up to 90 percent of the sun heating the tent up. It could significantly reduce the cost to cool the tent. It’s extremely efficient in two ways. You get an energy savings because the shade blocks direct sunlight from tent skin. And you are also generating energy with the photovoltaic modules on the exposed surface of the shade,” Tucker said. “With the solar shade, it’s low or no maintenance and no fossil fuel consumption. The logistics trail is short. This is ideal for isolated places where it is extremely expensive or difficult to ship fuel. A repeater site for radio transmission, remote village stability operations or even in a disaster relief scenario…where power isn’t available off the grid,” Tucker said. Tucker is a lean, tall master mechanic, SCUBA diver and classic Harley owner and enthusiast. He’s constantly fixing and adjusting equipment like the air conditioner in his temporary quarters at Camp Lemonnier. The door lock didn’t escape his fix-it-now approach to life, so he treated it with a squirt of machine oil. With his attention to detail, you can tell why he became an engineer. While cleaning up modules on the solar shade he expressed satisfaction in the project. “Overall, I’m pleased how the unit has weathered the high winds, exposure to ultraviolet light and the harsh conditions of Djibouti. It’s performed extremely well,” Tucker said. Tucker explained some of the solar shades features. “The shade will block about 80-90 percent of the solar load. There are a lot of solar cells that convert sunlight to free and clean energy. The solar shade uses flexible photo voltaic panels. It’s light and thin. The trade off is that it doesn’t produce as much electricity as single crystal rigid photo voltaic cells. This system is ideal for an austere, off-the-grid environment,” Tucker said. “I’d like to see this picked up by a program manager who is really interested in alternative energy. Someone who is interested in decreasing their organizations logistics fuel tail and providing our Soldiers with something that can give them power with minimal maintenance,” Tucker said. Tucker says that there may be a place for alternative energy sources in the military. “A possible holistic approach to energy management might be in a mini grid system for expeditionary or remote sites. This would combine alternative and traditional energy sources on an as needed basis. These micro grids would use intelligent control of generators – storing energy in battery banks and shutting off the generator off when it’s not needed. The generator is using fuel whether the energy is being used or not. The main goal is to stop burning fuel when it’s not needed. It’s being done in the U.S. with wind and solar energy in large electrical grid,” Tucker said. You can see more photos of the shade system in action on U.S. Army Africa’s Flickr page. Do you want to be a scientist? How about a forensic scientist? Check out these great forensic science books written by the best in the field - using science to fight crime. WASHINGTON -- NASA has selected 11 science proposals for evaluation as potential future science missions. The proposals outline prospective missions to study the Earth's atmosphere, the sun, the Milky Way galaxy, and Earth-like planets around nearby stars. The selections were made from responses to Announcements of Opportunity for Explorer Missions and Explorer Missions of Opportunity released by the agency last November. The proposals were judged to have the best science value and feasible development plans. "NASA continues to seek opportunities to push the cutting edge of science," said Paul Hertz, chief scientist for NASA's Science Mission Directorate, Washington. "Innovative proposals like these will help us better understand our solar system and the universe." Five Explorer Mission proposals were selected from 22 submitted in February. Each team will receive $1 million to conduct an 11-month mission concept study. Mission costs are capped at $200 million each, excluding the launch vehicle. In addition, one Explorer Mission proposal was selected for technology development and will receive $600,000. Five Mission of Opportunity proposals were selected from 20 submissions. Each will receive $250,000 to conduct an 11-month implementation concept study. Mission costs are capped at $55 million each. Following the detailed mission concept studies, NASA plans to select up to two of the Explorer Mission proposals and one or more of the five Mission of Opportunity proposals in February 2013. The missions would then proceed toward flight and some could launch by 2016. -Ionospheric Connection Explorer (ICON) Thomas Immel, Principal Investigator (PI), University of California, Berkeley -- The mission would fly instruments to understand the extreme variability in our Earth's ionosphere, which can interfere with communications and geopositioning signals. -Fast INfrared Exoplanet Spectroscopy Survey Explorer (FINESSE) Mark Swain, PI, Jet Propulsion Laboratory, Pasadena, California -- This proposal would use a space telescope to survey more than 200 planets around other stars. This would be the first mission dedicated to finding out what comprises exoplanet atmospheres, what conditions or processes are responsible for their composition, and how our solar system fits into the larger family of planets. -Observatory for Heteroscale Magnetosphere-Ionosphere Coupling (OHMIC) James Burch, PI, Southwest Research Institute, San Antonio, Texas -- The mission would use a pair of spacecraft flying in formation to study the processes that provide energy to power space weather storms. These storms create auroras and other electromagnetic activity that can impact orbiting spacecraft operations. -Transiting Exoplanet Survey Satellite (TESS) George Ricker, PI, Massachusetts Institute of Technology, Cambridge, Mass. -- Using an array of telescopes, TESS would perform an all-sky survey to discover transiting exoplanets, ranging from Earth-sized to gas giants, in orbit around the nearest and brightest stars in the sky. The mission's primary goal would be to identify terrestrial planets in the habitable zones of nearby stars. -Atmosphere-Space Transition Region Explorer (ASTRE) Robert Pfaff Jr., PI, NASA's Goddard Space Flight Center, Greenbelt, Md. -- The mission would study the interaction between the Earth's atmosphere and the ionized gases of space. By flying excursions deep into the Earth's upper atmosphere, its measurements would improve satellite drag models and show how space-induced currents in electric power grids originate and evolve with time. -Global-scale Observations of the Limb and Disk (GOLD) Richard Eastes, PI, University of Central Florida, Orlando -- This would involve an imaging instrument that would fly on a commercial communications satellite in geostationary orbit to image the Earth's thermosphere and ionosphere. -Neutron star Interior Composition ExploreR (NICER) Keith Gendreau, PI, Goddard -- This mission would place an X ray timing instrument on the International Space Station (ISS) to explore the exotic states of matter within neutron stars and reveal their interior and surface compositions. -Coronal Physics Investigator (CPI) John Kohl, PI, Smithsonian Astrophysical Observatory, Cambridge, Mass. -- A solar telescope would be mounted on the ISS to investigate the processes that produce the sun's fast and slow solar wind. -Gal/Xgal U/LDB Spectroscopic/Stratospheric THz Observatory (GUSSTO) Christopher Walker, PI, University of Arizona, Tucson -- This mission would launch a high altitude balloon with a one-meter telescope to provide a comprehensive understanding of the inner workings of our Milky Way galaxy and one of our galaxy's companion galaxies, the Large Magellanic Cloud. -Ion Mass Spectrum Analyzer for SCOPE (IMSA), Lynn Kistler PI, University of New Hampshire, Durham -- This partner mission of opportunity would provide a composition instrument to the Japanese cross-Scale Coupling in the Plasma universE (SCOPE) mission. 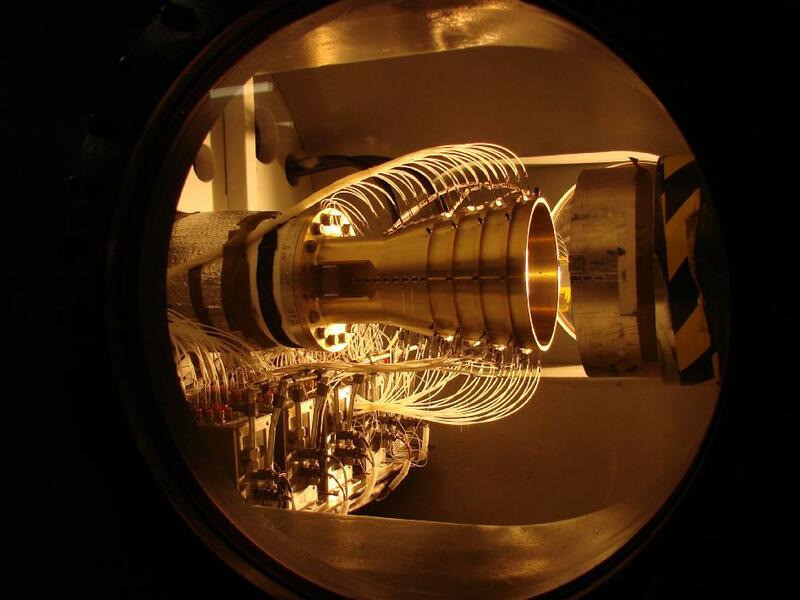 SCOPE will study fundamental space plasma processes including particle acceleration, magnetic reconnection, and plasma turbulence. -The Exoplanetary Circumstellar Environments and Disk Explorer (EXCEDE), Glenn Schneider, PI, University of Arizona, Tucson -- The technology development effort will enable studies of the formation, evolution, and architectures of exoplanetary systems through direct imaging. The Explorer program is the oldest continuous program at NASA. It is designed to provide frequent, low-cost access to space using PI-led space science investigations relevant to the agency's astrophysics and heliophysics programs. Initiated with the Explorer 1 launch in 1958 that discovered the Earth's radiation belts and including the Cosmic Background Explorer mission that led to Nobel prizes for their investigators, the Explorer program has launched more than 90 missions. It is managed by Goddard for NASA's Science Mission Directorate in Washington. For more information about the Explorer program, visit http://explorers.gsfc.nasa.gov. Are you into planetary science? Try checking out forensic science, starting with these forensic science books written by leading experts - using science to fight crime. WASHINGTON -- NASA's MESSENGER spacecraft, the first to achieve orbit around Mercury, is providing scientists new information about the planet. The data show widespread flood volcanism similar to Earth, clearer views of Mercury's surface, the first measurements of its elemental composition, and details about charged particles near the planet. MESSENGER, or the MErcury Surface, Space ENvironment, GEochemistry, and Ranging spacecraft, conducted 15 laps through the inner solar system for more than six years before achieving the historic orbit insertion March 18. The new results are reported in seven papers published in Science magazine. "MESSENGER's instruments are capturing data that can be obtained only from orbit," says principal investigator Sean Solomon, of the Carnegie Institution of Washington. "Mercury has many more surprises in store for us as our mission progresses." Scientists for decades had puzzled over whether Mercury had volcanic deposits on its surface. New data show a huge expanse of volcanic plains surrounding the planet's north polar region. These continuous smooth plains cover more than six percent of the planet's total surface. The deposits appear typical of flood lavas, or huge volumes of solidified molten rock similar to those found in the northwest United States. "If you imagine standing at the base of the Washington Monument, the top of the lavas would be something like 12 Washington Monuments above you," said James Head of Brown University, the lead author of one of the papers. Scientists also have discovered vents or openings measuring up to 16 miles (25 kilometers) across that appear to be the source of some of the large volume of very hot lava that has rushed across Mercury's surface carving valleys and creating teardrop-shaped ridges in the underlying terrain. New images reveal landforms on Mercury suggesting a previously unrecognized geological process. Images of bright areas appear to be small, shallow, irregularly shaped depressions. The science team adopted the term "hollows" for these features to distinguish them from other types of pits seen on Mercury. Hollows have been found over a wide range of latitudes and longitudes, suggesting that they are fairly common across Mercury. "Analysis of the images and estimates of the rate at which the hollows may be growing led to the conclusion that they could be actively forming today," says David Blewett of the Johns Hopkins University Applied Physics Laboratory (APL) in Laurel, Md., lead author of one of the reports. Scientists also now have observations of the chemical composition of Mercury's surface. The information is being used to test models of Mercury's formation and further study the relationship between the planet's tenuous atmosphere and surface makeup. Chemical measurements reveal a higher abundance of potassium than previously predicted. "These measurements indicate Mercury has a chemical composition more similar to those of Venus, Earth, and Mars than expected," says APL's Patrick Peplowski, lead author of one of the papers. MESSENGER also has collected the first global observations of plasma ions-- mostly sodium -- in Mercury's magnetosphere, the volume of space near the planet dominated by Mercury's magnetic field. These results reveal that Mercury's weak magnetosphere provides the planet very little protection from the gusty solar wind, resulting is a very hostile surface environment with extremes in space weather. "We were able to observe the formation process of these ions, and it's comparable to the manner by which auroras are generated in the Earth's atmosphere near polar regions," said Thomas Zurbuchen of the University of Michigan and lead author of one of the reports. MESSENGER was designed and built by APL. The lab manages and operates the mission for NASA's Science Mission Directorate (SMD) in Washington. The mission is part of NASA's Discovery Program, managed for SMD by the agency's Marshall Space Flight Center in Huntsville, Ala.
For more information about the mission visit http://www.nasa.gov/messenger. WASHINGTON -- New observations by NASA's Wide-field Infrared Survey Explorer, or WISE, show there are significantly fewer near-Earth asteroids in the mid-size range than previously thought. The findings also indicate NASA has found more than 90 percent of the largest near-Earth asteroids, meeting a goal agreed to with Congress in 1998. Astronomers now estimate there are roughly 19,500 -- not 35,000 -- mid-size near-Earth asteroids. Scientists say this improved understanding of the population may indicate the hazard to Earth could be somewhat less than previously thought. However, the majority of these mid-size asteroids remain to be discovered. More research also is needed to determine if fewer mid-size objects (between 330 and 3,300-feet wide) also mean fewer potentially hazardous asteroids, those that come closest to Earth. The results come from the most accurate census to date of near-Earth asteroids, the space rocks that orbit within 120 million miles (195 million kilometers) of the sun into Earth's orbital vicinity. WISE observed infrared light from those in the middle to large-size category. The survey project, called NEOWISE, is the asteroid-hunting portion of the WISE mission. Study results appear in the Astrophysical Journal. "NEOWISE allowed us to take a look at a more representative slice of the near-Earth asteroid numbers and make better estimates about the whole population," said Amy Mainzer, lead author of the new study and principal investigator for the NEOWISE project at NASA's Jet Propulsion Laboratory (JPL) in Pasadena, Calif. "It's like a population census, where you poll a small group of people to draw conclusions about the entire country." 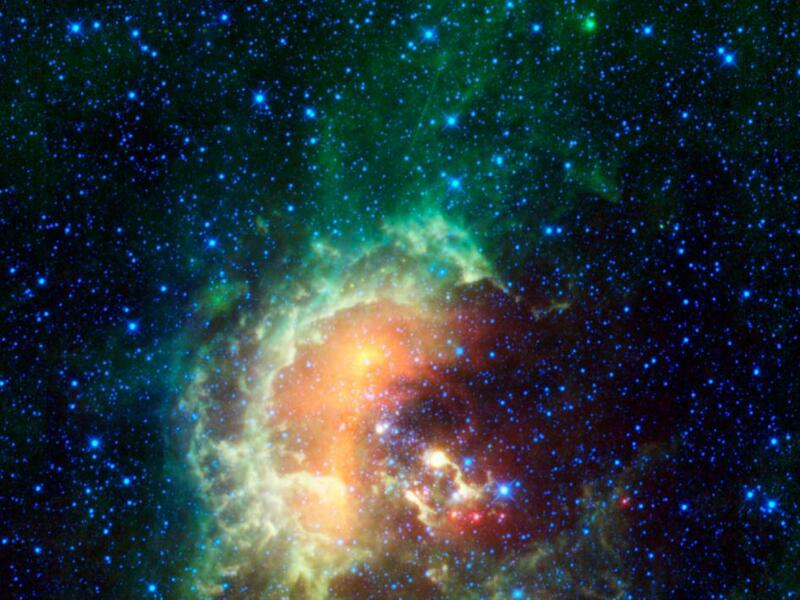 WISE scanned the entire celestial sky twice in infrared light between January 2010 and February 2011, continuously snapping pictures of everything from distant galaxies to near-Earth asteroids and comets. NEOWISE observed more than 100 thousand asteroids in the main belt between Mars and Jupiter, in addition to at least 585 near Earth. WISE captured a more accurate sample of the asteroid population than previous visible-light surveys because its infrared detectors could see both dark and light objects. It is difficult for visible-light telescopes to see the dim amounts of visible-light reflected by dark asteroids. Infrared-sensing telescopes detect an object's heat, which is dependent on size and not reflective properties. Though the WISE data reveal only a small decline in the estimated numbers for the largest near-Earth asteroids, which are 3,300 feet (1 kilometer) and larger, they show 93 percent of the estimated population have been found. This fulfills the initial "Spaceguard" goal agreed to with Congress. These large asteroids are about the size of a small mountain and would have global consequences if they were to strike Earth. The new data revise their total numbers from about 1,000 down to 981, of which 911 already have been found. None of them represents a threat to Earth in the next few centuries. It is believed that all near-Earth asteroids approximately 6 miles (10 kilometers) across, as big as the one thought to have wiped out the dinosaurs, have been found. "The risk of a really large asteroid impacting the Earth before we could find and warn of it has been substantially reduced," said Tim Spahr, the director of the Minor Planet Center at the Harvard Smithsonian Center for Astrophysics in Cambridge, Mass. The situation is different for the mid-size asteroids, which could destroy a metropolitan area if they were to impact in the wrong place. The NEOWISE results find a larger decline in the estimated population for these bodies than what was observed for the largest asteroids. So far, the Spaceguard effort has found and is tracking more than 5,200 near-Earth asteroids 330 feet or larger, leaving more than an estimated 15,000 still to discover. In addition, scientists estimate there are more than a million unknown smaller near-Earth asteroids that could cause damage if they were to impact Earth. "NEOWISE was just the latest asset NASA has used to find Earth's nearest neighbors," said Lindley Johnson, program executive for the Near Earth Object (NEO) Observation Program at NASA Headquarters in Washington. "The results complement ground-based observer efforts over the past 12 years. These observers continue to track these objects and find even more." WISE is managed and operated by JPL for NASA's Science Mission Directorate in Washington. The principal investigator, Edward Wright, is at the University of California, Los Angeles. The WISE science instrument was built by the Space Dynamics Laboratory in Logan, Utah, and the spacecraft was built by Ball Aerospace and Technologies Corp. in Boulder, Colo. Science operations and data processing occur at the Infrared Processing and Analysis Center at the California Institute of Technology. For more information about the mission, visit http://www.nasa.gov/wise. This image is from a 2008 cold flow test campaign conducted at NASA's Marshall Space Flight Center for the J-2X engine program. NASA continues to test the J-2X engine and conducted a 40-second test of the rocket engine Sept. 28, the most recent in a series of tests of the next-generation engine selected as part of the Space Launch System architecture that will once again carry humans into deep space. It was a test at the 99 percent power level to gain a better understanding of start and shutdown systems as well as modifications that had been made from previous test firing results. WASHINGTON -- NASA will host a two-day launch Tweetup for 150 of its Twitter followers on Nov. 23 and 25 at the agency's Kennedy Space Center in Florida. The Tweetup is expected to culminate in the launch of the Mars Science Laboratory Curiosity rover aboard a United Launch Alliance Atlas V 541 from Cape Canaveral Air Force Station. The launch window open is scheduled to open at 10:21 a.m. EDT on Nov. 25. Tweetup registration opens at noon on Wed, Oct. 5, and closes at noon on Fri., Oct. 7. NASA will randomly select 150 participants from online registrations. For more information and rules about the Tweetup and registration, visit http://www.nasa.gov/tweetup. For information about connecting and collaborating with NASA, visit http://www.nasa.gov/connect. For information about the mission, visit http://www.nasa.gov/msl and http://mars.jpl.nasa.gov/msl/. WASHINGTON -- NASA will host a media teleconference at 2 p.m. EDT on Thursday, Sept. 29, to discuss new data and images from the first spacecraft to orbit Mercury. NASA's MErcury Surface, Space ENvironment, GEochemistry, and Ranging (MESSENGER) spacecraft conducted fifteen laps through the inner solar system for more than six years before achieving the historic orbit insertion on March 18. - David Blewett, MESSENGER participating scientist and staff scientist, Johns Hopkins University Applied Physics Laboratory (APL), Laurel, Md. To participate in the teleconference, reporters must contact Dwayne Brown at dwayne.c.brown@nasa.gov or 202-358-1726, by noon on Sept. 29 for dial-in instructions. Related images and supporting briefing information will be available at http://www.nasa.gov/messenger. Are you interested in military technology? 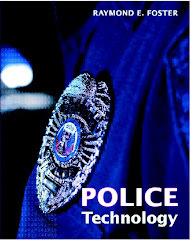 Check out these great police technology articles. WASHINGTON (Army News Service, Sept. 27, 2011) — A new app for smartphones will allow Soldiers worldwide to visit Army exhibits and watch presentations taking place at the Washington Convention Center Oct. 10-12. The Army Exhibit Mobile App will help visitors find what they’re looking for at the Association of the U.S. Army’s (AUSA) annual meeting and symposium, and allow those who can’t be there to take a virtual tour. The app will also allow users to watch Secretary of the Army John McHugh, Chief of Staff Gen. Raymond Odierno and other senior leaders discuss leading-edge issues facing the Army, such as advancing the network, cyber security, future training, leader development and more. They will be able to hear Soldiers ask questions and get frank answers from their senior leaders. “We want to expand the reach beyond the building and beyond the calendar,” said Lt. Col. Thomas Smedley, who explained the presentations and exhibits will be available for viewing on the app not just during the three days of the conference, but for months to come. “You can watch it during halftime at the football game,” Smedley said. “You can watch it at an airport while waiting for a plane,” he added. “We don’t encourage watching it while driving in traffic,” he joked. Smedley, military deputy for Community Relations and Outreach at Army Public Affairs, has been working on the app since May. He said it will be available for downloading next week for iPhones, Droids, and iPads and his team has also been working on a version for BlackBerrys. The www.Army.mil/mobile site will have a link to the iTunes App Store, the Android Marketplace, and the HTML5 Blackberry site where the app can be downloaded. Apple has already reviewed the app and sent back its technical approval, Smedley said. The smartphone application will link to video of the 14 Institute of Land Warfare panels from the convention center. The symposium’s opening ceremony Oct. 10 featuring Secretary of the Army John McHugh will be available for viewing. So will the Eisenhower Luncheon Oct. 11 featuring Army Chief of Staff Gen. Raymond Odierno. “You can sit and watch the chief talk about the way ahead,” Smedley said, adding that the presentations would also be good to play back for unit professional-development sessions, such as NCOPDs. “It’s all about avoiding that white piece of paper,” he said, explaining that an interactive application and video are much more exciting than reading a handout. The app is a partner to the Professional Development web page on www.army.mil which will have the links for viewing livestreaming and archived video on the smartphone, he said. The four Family Forums at AUSA will be available on the app, as will presentations at the Warrior’s Corner. Warrior’s Corner presentations are part of the Department of the Army exhibit at booth 1775 in the center of the Convention Center’s exhibit hall. The third zone of the Army exhibit will be an interactive look back over the past 10 years of war and the communications campaigns. “We’re nested with the communications campaigns,” Smedley said, explaining that one of his jobs has been to ensure that the Army’s eight communication priorities resonate throughout the app and the Army’s exhibit. Those communications priorities are color-coded on the app for the convenience of users, Smedley said. Young Soldiers are used to receiving information digitally through mobile devices, Smedley said, explaining that they read books on their iPad or Kindle and download technical manuals from the Internet. He predicted that they will be very comfortable with the new app. “The convenience and portability is very good,” he emphasized. The app will also include feedback mechanisms, Smedley said. In-app analytics will measure usage and allow Soldiers to rate the exhibits. The app will also allow users to provide both quantitative and qualitative feedback on the communications campaigns. And Soldiers with ideas for making the app even better are invited to submit their suggestions, Smedley said. This article first appeared on Army.mil. If you’re into science and astronomy, discover these popular NASA books written by military veteran astronauts. Did you know many NASA astronauts are active duty military? Check out these great NASA books written by veterans who became astronauts. WASHINGTON -- NASA will hold a news conference at 1 p.m. EDT on Thurs., Sept. 29, to reveal near-Earth asteroid findings and implications for future research. The briefing will take place in the NASA Headquarters James E. Webb Auditorium, located at 300 E St. SW in Washington. NASA's Wide-field Infrared Survey Explorer (WISE) mission, launched in December 2009, captured millions of images of galaxies and objects in space. During the news conference, panelists will discuss results from an enhancement of WISE called Near-Earth Object WISE (NEOWISE) that hunted for asteroids. -- Amy Mainzer, NEOWISE principal investigator, NASA's Jet Propulsion Laboratory, Pasadena, Calif.
-- Tim Spahr, director, Minor Planet Center, Smithsonian Astrophysical Observatory, Cambridge, Mass. -- Lucy McFadden, scientist, NASA's Goddard Space Flight Center, Greenbelt, Md. The event will air live on NASA Television and the agency's website. For NASA TV streaming video, downlink and scheduling information, visit http://www.nasa.gov/ntv. The briefing also will be streamed live, with a chat available, at http://www.ustream.tv/nasajpl2. Come see these NASA books about military heroes who became NASA astronauts! This infrared image from NASA's Wide-field Infrared Survey Explorer, or WISE, showcases the Tadpole Nebula, a star-forming hub in the Auriga constellation about 12,000 light-years from Earth. As WISE scanned the sky, capturing this mosaic of stitched-together frames, it happened to catch an asteroid in our solar system passing by. The asteroid, called 1719 Jens, left tracks across the image. A second asteroid was also observed cruising by. But that's not all that WISE caught in this busy image -- two natural satellites orbiting above WISE streak through the image, appearing as faint green trails. This Tadpole region is chock full of stars as young as only a million years old -- infants in stellar terms -- and masses over 10 times that of our sun. It is called the Tadpole nebula because the masses of hot, young stars are blasting out ultraviolet radiation that has etched the gas into two tadpole-shaped pillars, called Sim 129 and Sim 130. These "tadpoles" appear as the yellow squiggles near the center of the frame. The knotted regions at their heads are likely to contain new young stars. 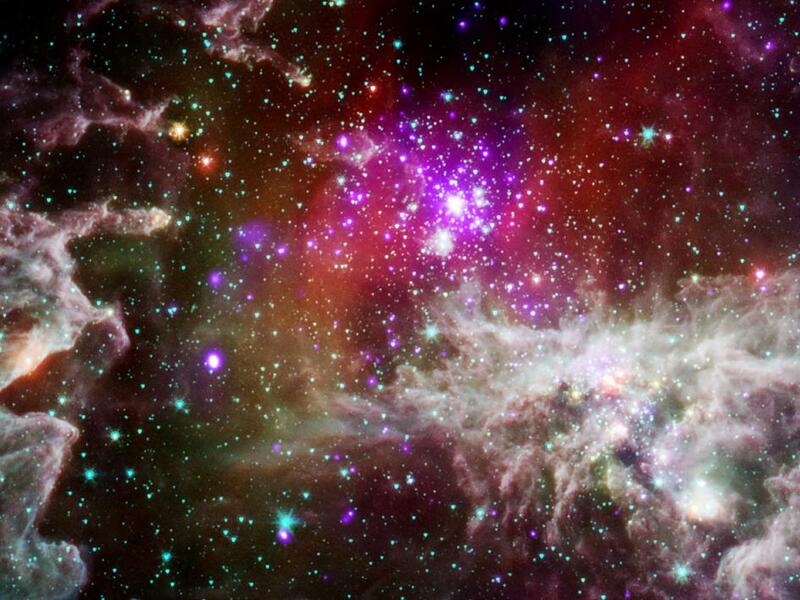 WISE's infrared vision is helping to ferret out hidden stars such as these. The 1719 Jens asteroid, discovered in 1950, orbits in the main asteroid belt between Mars and Jupiter. The space rock, which has a diameter of 19 kilometers (12 miles), rotates every 5.9 hours and orbits the sun every 4.3 years. Twenty-five frames of the region, taken at all four of the wavelengths detected by WISE, were combined into this one image. The space telescope caught 1719 Jens in 11 successive frames. Infrared light of 3.4 microns is color-coded blue: 4.6-micron light is cyan; 12-micron-light is green; and 22-micron light is red. In the time-lapse video below, the Naval Research Laboratory’s (NRL) Tactical Satellite IV (TacSat-4) is encapsulated inside the fairing (nose cone) of an Orbital Sciences Corporation Minotaur-IV+ launch vehicle in preparation for a Sept. 27, 2011, launch from the Alaska Aerospace Corporation’s Kodiak Launch Complex. You can watch the TacSat-4 launch live this morning, Sept 27, 2011, between 11:49 am and 12:56 pm EDT by visiting http://on.fb.me/nSSiNp. TacSat-4 is a Navy-led joint mission which provides 10 Ultra High Frequency channels and allows troops using existing radios to communicate on-the-move from obscured regions without the need for dangerous antenna positioning and pointing. To augment current geosynchronous satellite communication, the TacSat-4 spacecraft will be deployed into a unique, highly elliptical orbit with an apogee in the high latitudes of 12,050 kilometers. The Office of Naval Research (ONR) sponsored the development of the payload and the first year of operations. The Operationally Responsive Space (ORS) Office funded the launch that is managed by the Space Development and Test Directorate, a directorate of the Air Force Space and Missile Systems Center (SMC). The spacecraft bus was built by NRL and Johns Hopkins University Applied Physics Laboratory (APL) to mature ORS bus standards. It was developed by an Integrated (government and industry) System Engineering Team, the “ISET Team,” with active representation from AeroAstro, Air Force Research Laboratory, Johns Hopkins Laboratory APL, ATK Space, Ball Aerospace and Technologies, Boeing, Design Net Engineering, General Dynamics AIS, Microcosm, Microsat Systems Inc., Massachusetts Institute of Technology Lincoln Laboratory, Orbital Sciences, NRL, SMC, Space System Loral, and Raytheon. The Department of Defense Office of the Director of Defense Research and Engineering funded the standardized spacecraft bus. TacSat-4 will be the 100th NRL built satellite launched into a celestial orbit. For more NRL videos, visit nrl.navy.mil/media/videos/. VIDEO: Have You Met DARwin? DARwin (Dynamic Anthropomorphic Robot with Intelligence), a robot developed by the Virginia Tech Robotics and Mechanisms Laboratory (RoMeLa) performed recently at the Office of Naval Research exhibit during the 2011 Association for Unmanned Vehicle Systems’ annual North American conference in Washington, D.C. DARwin is a family of fully autonomous humanoid robots capable of bipedal walking and performing human like motions. Watch a video of DARwin in action after the jump! Video was included with original release. Check out these science books written by military heroes who became NASA astronauts! WASHINGTON -- President Obama has named four NASA scientists as recipients of the 2010 Presidential Early Career Award for Scientists and Engineers (PECASE). The NASA recipients and 90 other federal researchers will receive their awards in a ceremony on October 14 in Washington. The PECASE awards represent the highest honor bestowed by the U.S. government on scientists and engineers beginning their independent careers. They recognize recipients' exceptional potential for leadership at the frontiers of scientific knowledge, and their commitment to community service as demonstrated through scientific leadership, education or community outreach. "We are thrilled to honor these outstanding early-career scientists, and will look forward to their ongoing contributions to the exploration of our planet, our solar system, and our place in the universe," said NASA Chief Scientist Waleed Abdalati. "The work of these talented individuals will help us turn the dreams of today into the reality of tomorrow." · Jonathan W. Cirtain, NASA's Marshall Space Flight Center in Huntsville, Ala., recognized for outstanding research on basic physical processes observed in solar and space plasmas through innovative engineering instrument designs. · Ian M. Howat, The Ohio State University in Columbus, recognized for outstanding contributions to the field of glaciology -- in particular, improvements to understanding glacier dynamics and their contributions to sea level rise. · Gregory G. Howes, University of Iowa in Iowa City, recognized for outstanding contributions to improve understanding of the dissipation of turbulence and the resulting heating of heliospheric plasmas, and for leadership in education and outreach activities. · Benjamin A. Mazin, University of California, Santa Barbara, recognized for outstanding contributions to the development of ultra-sensitive, low-temperature detector arrays that provide energy resolution and arrival timing for photons from X-rays to the near infrared. The PECASE awards were created to foster innovative developments in science and technology; increase awareness of careers in science and engineering; give recognition to the scientific missions of participating agencies; enhance connections between fundamental research and many of the grand challenges facing the nation; and to highlight the importance of science and technology for America's future. Sixteen federal departments and agencies nominated scientists and engineers for the 2010 PECASE awards. For a complete list of 2010 award winners, visit http://www.whitehouse.gov/administration/eop/ostp. Securing Smart Phones...Who Will Answer the Call? Healthcare IT—What Will Its Future Look Like?